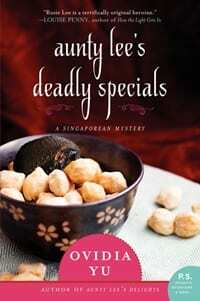 Blog Book Tour | “Aunty Lee’s Deadly Specials” by Ovidia Yu a #cosy #mystery set in Singapore with a feisty amateur sleuth at the helm! Acquired Book By: I was selected to be a tour stop on the “Aunt Lee’s Deadly Specials” virtual book tour through TLC Book Tours. I received a complimentary copy of the book direct from the publisher William Morrow, in exchange for an honest review. 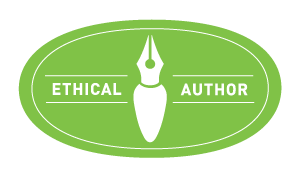 I did not receive compensation for my opinions or thoughts shared herein. Setting into the environment of Aunty Lee’s Delights: Meet Aunty Lee! Oh! it is the name of a cafe! The title is reminiscent of a delectable foodie haunt where traditional Peranakan cuisine was served as regular as hearty conversative gossip! The manner of how Yu writes her novel has a curious in-step where the pace and delivery reminded me of the long ago letters from my Singaporean friends. The delivery of the scenes was quite unique and brought me back to the beautiful conversations I had with my friends, shared through paper and pen! Every language has it’s own style, and thereby each writer has a distinction of voice that is individualistically unique. With this novel, it is twofold – I could see a reflection of my friends’ voices through the writing style of Yu! I champion the inclusion of local customs, words and phrases whenever a story is set in a place outside a readily known locale. It brings the setting to the level of feeling local and intimately familiar; as if we were not visiting the locale for the first time. 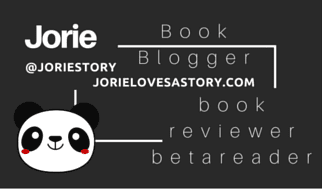 Yu does this in such a natural way, it befits not only her characters but the overall texture of her novels! Aunty Lee is a flamboyant woman who adores her experimentation of cooking whilst cooking and creating traditional foods with a dedicated quality of ingredients. She has a comfortability of being in harmony with herself as much as with her living environment and city. She asserts herself in situations and circumstances where she feels she has the most to give as much as what she can gain through the experience of being involved as well. Her attention to tasks at hand are slightly off-kilter to her sensational interest in current events which parlay into murder; this concentrated effort on her behalf means far more to her than the placement of her knife in relation to her fingers and the vegetables she is chopping on the board! Thankfully, Aunty Lee had the wisdom to hire Nina, a ‘jack of all trades’ as she is part maid, part assistant in arms, and part sous chef; all knowledge of trade are in combination with the medical arts, thereby circumventing any horrific disaster that could befall Aunty Lee! Aunty Lee is a bit excluded from her family, partially out of death (of her late husband, being his second wife) and have by the status of her inheritance of his wealth which did not pass down to his son and daughter. Of the two, the wife of his son found this most insulting of all, although the son found nothing wrong with the arrangement on principle. Aunty Lee has the charming grace to face facts whilst embracing life as it arrives. The most delish moment of her day is the prospect of a murder washing ashore and walking into her life; as what could be more alluring than a mystery of an unexplained death? Rosie “Aunty” Lee, the feisty widow and amateur sleuth and proprietor of Singapore’s best-loved home-cooking restaurant, is back in another delectable, witty mystery involving scandal and murder among the city’s elite.